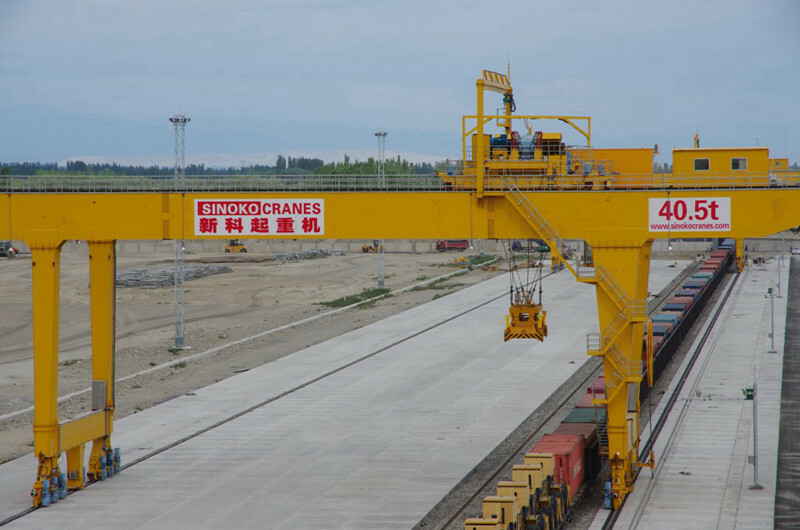 Sinokocranes Focus on Container Handling Gantry Crane solution for Rail Satation Container Yard, Port Container Yard etc. 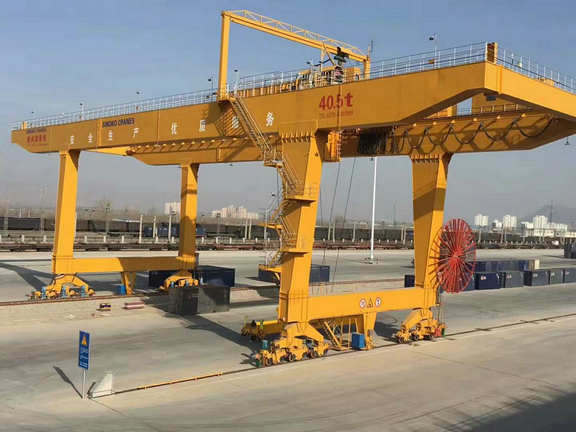 Our Container Gantry Crane have Intelegent Fuctions:Automatic Fetching,Automatic Positioning,Automatic Loading and Unloading,Data Record and Analysis etc. The rail-type container gantry has a rated lifting capacity of 41 tons and a stack of five to six shipping containers under the spreader. It is capable of loading and unloading stackers and trailers of ISO standard 20', 40', and 45' containers. When the crane is under load, the hoisting mechanism and the trolley running mechanism can work separately and simultaneously. The cart walking and trolley running mechanism can also work separately and simultaneously. 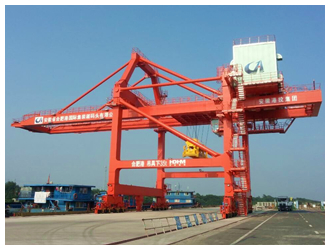 Rail-mounted container gantry crane uses 10 kV ±10%, 50 Hz three-phase grid external power supply, and the power supply is cable reel. The electric drives of cranes are all digital AC frequency conversion and PLC control. The hoisting mechanism also has the function of constant power speed control. 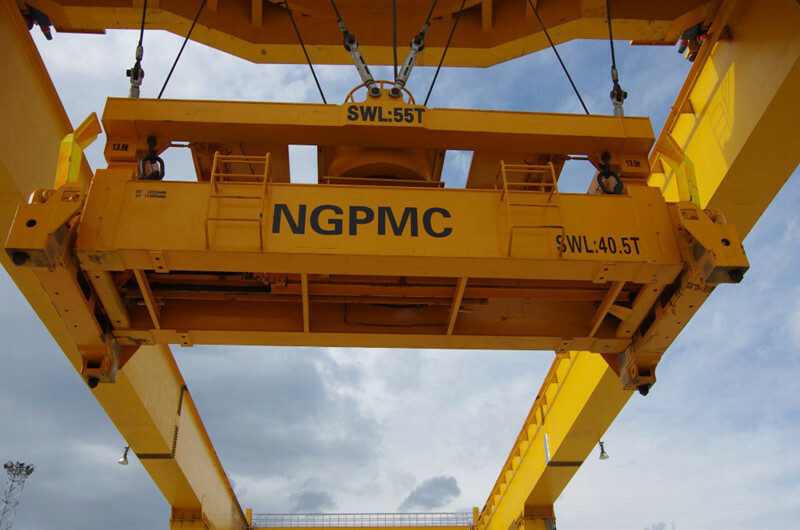 Rail-mounted container gantry cranes are equipped with a condition monitoring and management system (CMS) to monitor and monitor crane operations. It has the functions of data collection, analysis, management, fault diagnosis, and can display the crane's main parameters and operation status in the electric room and driver's cab. The crane is equipped with various safety devices such as overload protection devices, tilting devices for tilting devices, and anti-rolling systems to ensure reliable and safe operation. 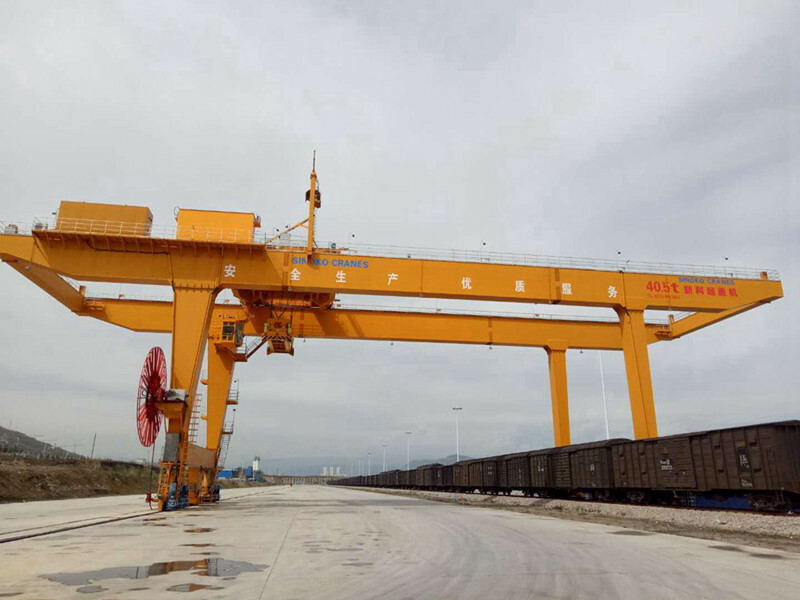 The rail-mounted container gantry crane can ensure that the driver can observe whether the cable working condition of the cart is normal through the camera system installed on the equipment. At the same time, the driver can observe that the cart will run through the ground cable around the drum device and the cart through the camera system. The orbital range of the scene. 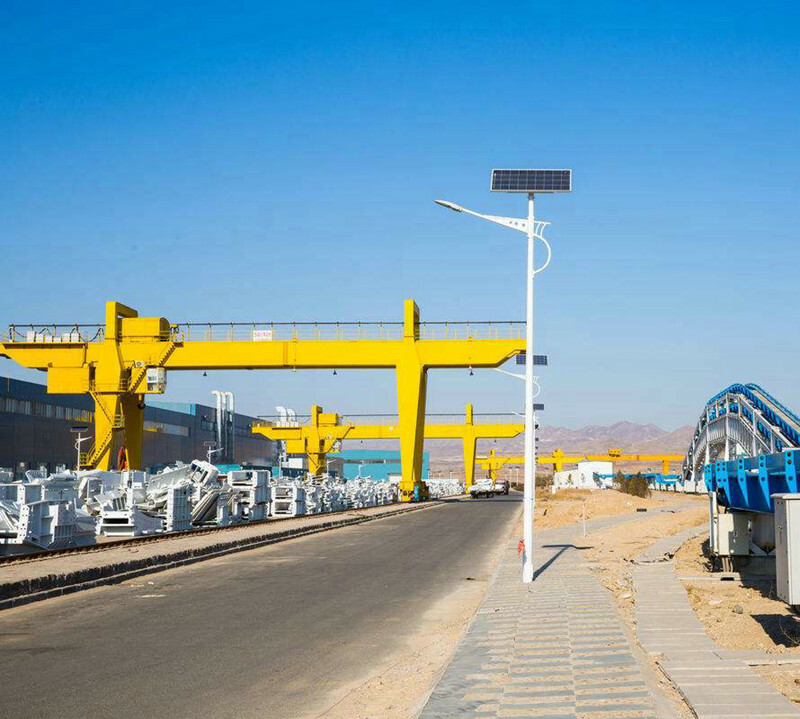 Orbital container gantry cranes must have sufficient stability and have wind resistance, earthquake resistance, collision avoidance, and anti-overturning capabilities. The crane should adopt advanced technology for design, reliable technology for manufacturing, and adopt advanced technology products and electronic control systems to enable the crane to achieve safe, reliable and efficient operation. 1. It has a modern condition monitoring system and a modern control and management system. 3. High degree of maintenance-free. 4. The maintenance space is reasonable and adequate. 5. Has good operating performance, in line with modern ergonomic principles. (1) Rated capacity: 41 tons under the spreader. (12) Power supply: AC 10KV 50Hz, three-phase power supply. (14) The selection of the structural form of the legs is conducive to improving the rigidity and stability of the structure of the whole machine, and is beneficial to reducing the rails of the cart.